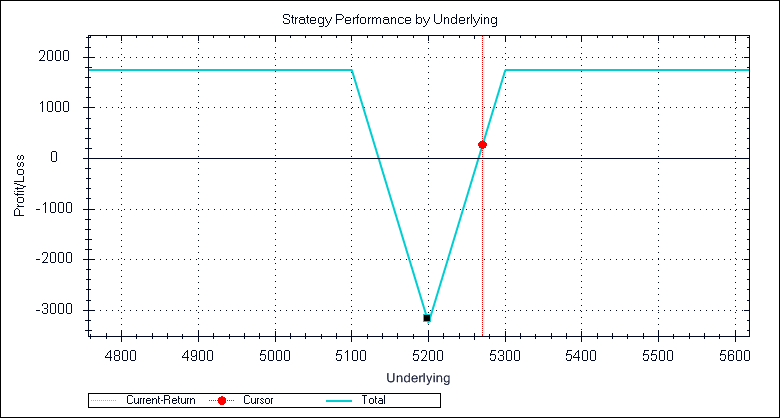 A reverse iron butterfly reveals that the strategy is basically the combination of both a long call spread and a long put spread, with the purchased options overlapping on a center strike. In order to initiate a reverse iron butterfly, the trader sells an out-of-the-money put and an out-of-the-money call, while simultaneously buying an at-the-money put and an at-of-the-money call. All four options will have the same expiration date. In this case i had sold the out of the money call 5300 and out of the money put 5100 and bought 5200 call and 5200 put. Please explain IRON butterfly Strategy.